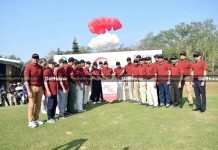 The three-day “Bashundhara Cup Golf Tournament -2017” concluded through a colourful ceremony at Rangpur Golf Club (RGC) ground in Rangpur Cantonment on Saturday. 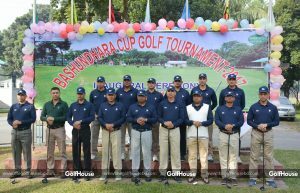 Managing Director of the Bashundhara Group Lieutenant Colonel (Retd) Md Wahid and its high officials, RGC officials and participating golfers were present, among others. 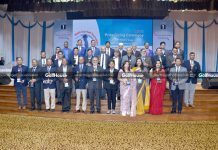 More than 100 participants across the country joined the meet. 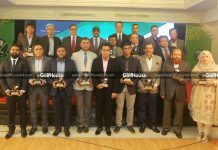 In the Male Group, golfer Lieutenant Colonel Abdul Aziz secured the first position while golfer Brigadier General Abul Fazal Md Sanaullah won the best gross award. Golfer Lieutenant Colonel Mamun became the runner up while golfer Sayem Khan won the second best gross award. 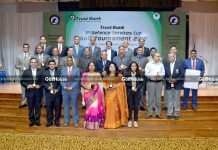 Golfer Colonel Azizul Kahhar became the second runner up while golfer Brigadier General Shefaul Kabir won the third best gross award. 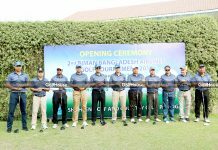 Golfer Major General Md Masud Razzaque won the longest drive award while golfer Brigadier General Shamim won the ‘conventional on’ award. 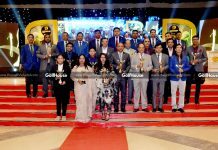 Golfer Major Ashraf secured the maxim par award while golfer Zamia Aziz won the nearest to pin award. In Female Group, golfer Shilpi became the winner while golfer Shahida Fazal was awarded for becoming the best gross. Waseka secured the first position while Ridin become the runner up in Junior Group. In Sub-Junior Group, Wadi secured the first position while Saba and Afrin became the runner up and second runner up respectively.